Influential among legislators, Siddaramaiah, has the distinction of presenting as many as seven state budgets as Finance Minister. Chief Minister Siddaramaiah pulled no punches in the acrimonious campaign for Karnataka, matching the BJP insult for insult and targeting Prime Minister Narendra Modi in a volley of tweets. As PM Modi taunted Congress president Rahul Gandhi about speaking "15 minutes on the achievements of his party's government in any language", the comeback was delivered by Siddaramaiah, who challenged the PM to talk about the achievements of the BJP government "without looking at a piece of paper". Siddaramaiah is the second chief minister to complete a full term after Devaraj Urs in 1972-77. In his rise, luck also played a part. The shock defeat of Karnataka Pradesh Congress Committee (KPCC) president G Parameshwara in the May 5 Assembly elections made things that much easier for him. Influential among legislators, Mr Siddaramaiah, has the distinction of presenting as many as seven state budgets as Finance Minister. An HD Deve Gowda protege, Mr Siddaramaiah narrowly lost the Chief Minister's job in 1996 after then Chief minister, Mr Gowda, went on to become Prime Minister. 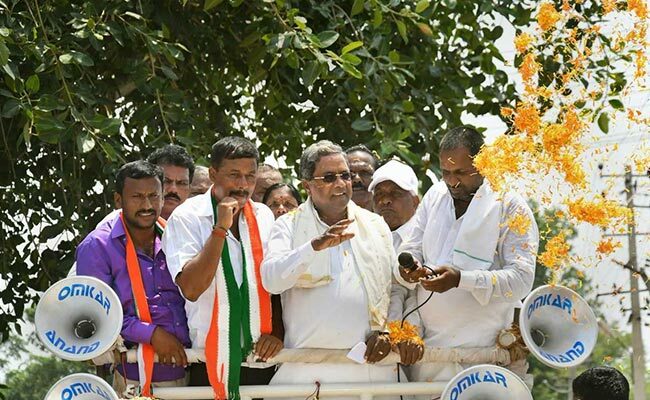 Mr Siddaramaiah, who is from the Kuruba community, a backward caste, was then edged out by JH Patel. A product of the 'Janata Parivar', Mr Siddaramaiah was influenced by the Dr Ram Manohar Lohia brand of socialism. 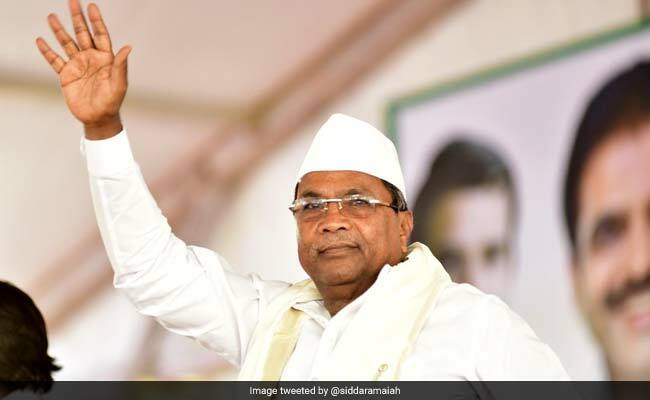 He turned his back on his legal career and entered politics, making his debut in the Karnataka Assembly in 1983 after being elected from the Chamundeshwari constituency in Mysore on a Lok Dal party ticket. He later joined the ruling Janata Party, which merged with other parties to become the Janata Dal in 1988. When the Janata Dal split into Janata Dal (United) and Janata Dal (Secular) in July 1999, he sided with the latter headed by Deve Gowda and became president of the party's state unit. Mr Siddaramaiah was sacked from the JD(S) in 2006, at a time when Mr Deve Gowda's son HD Kumaraswamy was the rising star in the party. JD(S) critics say he was thrown out of the party beacuse Mr Deve Gowda was keen to promote Mr Kumaraswamy as the party's leader. Mr Siddaramaiah joined the Congress with his followers in 2006. In December 2007, he was elected in a by-election from Chamundeshwari constituency. Born on August 12, 1948 at Siddaramanahundi, a village in Mysore district, Mr Siddaramaiah belonged to a community of shepherds. He graduated from the Mysore University with a science degree and later got his law degree from the same university.